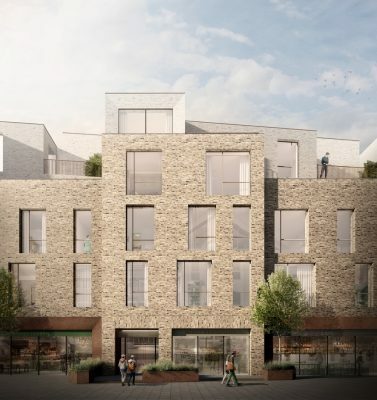 BuckleyGrayYeoman has received planning consent on behalf of Aitch Group in partnership with Mura Estates, for three residential blocks consisting of 78 units, located behind Woodgrange Road high street on Earlham Grove in the London Borough of Newham. Situated on a brownfield site, 140-150 Earlham Grove will consist of 1, 2 and 3 bedroom apartments, arranged over 6 storeys in blocks A and B and 5 storeys in block C.
Comprising of 70,000 sq ft, the external façade of the development has been carefully considered in response to its surroundings. A robust architectural language of a deep brick façade punched with openings prevails with a material palette of brick, concrete banding and metalwork window frames and balcony balustrades. The clearly defined elevations expressed through three subtle shades of brickwork draw upon the abundant brick vernacular present in Forest Gate. The public realm and landscaping proposals form an integral part of the scheme. 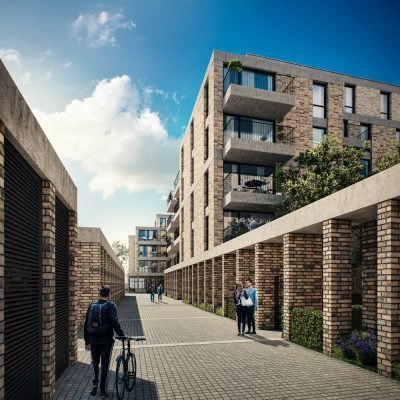 An internal paved street and landscaped courtyards will provide a new semi-public pedestrian route, activating the rear of the plot and increasing permeability through the site. Private courtyards with children’s play areas will be gated for tenant-use. 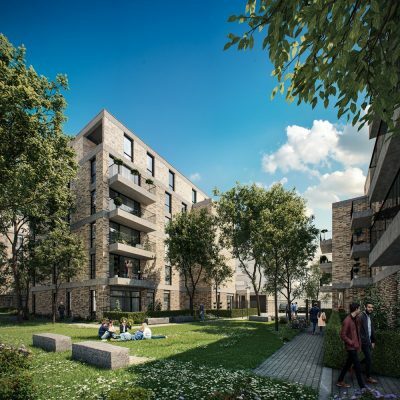 Earlham Grove is situated 150 metres from Forest Gate station and due to its location as well as excellent transport links, offers a ‘zero-parking’ scheme. Eight disabled parking bays are provided and residents benefit from secure bike storage capable of providing space for 136 bicycles. Shoreditch-based BuckleyGrayYeoman and Aitch Group have a working partnership dating back over 15 years. In 2014, the pair completed the Textile Building in Hackney, which involved the conversion of an existing warehouse into 86 high quality residential apartments, plus commercial space, at the centre of the Hackney fashion hub. 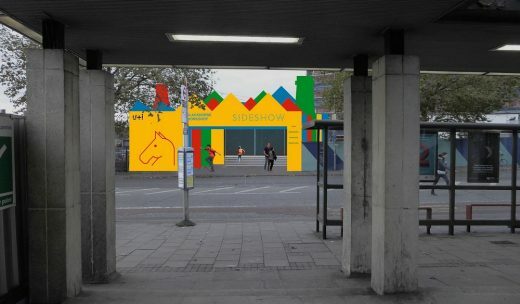 Currently, they are working together on a number of mixed-use, residentialled development, in a range of locations including Hackney, Fish Island and Deptford.